In episode 2, Dan is joined by Mark Rackley (@mrackley) Office 365 MVP, and Partner at PAIT Group. 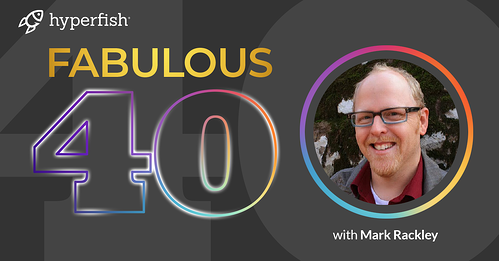 Mark shares his journey from falling into SharePoint consulting in 2007, to attending his fourth MVP Summit in 2019. Mark lets us in on his tips in getting up to speed with the new SharePoint Framework (SPFx) and the best resources to stay up to speed with the latest Office 365 and SharePoint news. Dan Stoll: Oh, hey, man. How you doing? It's good to see you. Mark Rackley: Hey, how's it going? Mark Rackley: Good to see ya. Dan Stoll: Yeah, what's going on? Dan Stoll: I want to ask you some questions. Dan Stoll: All right. Love your shoes, man. They're great. Mark Rackley: Hey, thanks. Appreciate that. Dan Stoll: Yeah. What brings you to Bellevue? Mark Rackley: Oh, going to the MVP Summit. Dan Stoll: Awesome. How does Washington compare to our home state of Arkansas? Mark Rackley: Well, it's a lot more blue and a lot more expensive. Dan Stoll: Yeah, I know, right. What's the one thing everyone needs to know about Arkansas? Mark Rackley: Probably that it is a very natural state. In fact, their slogan is The Natural State. There's lots of hills, and mountains, and kayaking, and great outdoors stuff. Dan Stoll: Yeah, yeah. Did you visit the new buildings at Microsoft HQ this week? Mark Rackley: No, I didn't get a chance to do that. Dan Stoll: All right. Nah, that's no good. How often do you get to visit HQ? Mark Rackley: You know, I'm up here about a couple of times a year, so yeah. Dan Stoll: Oh, yeah. What's your favorite thing about the MVP Summit? to really give them our feedback about what we think about what's going on. Dan Stoll: Yeah. What number of MVP Summit is this for you? Mark Rackley: I think this is number four for me. Dan Stoll: Okay, yeah. For the non-MVPS, what's the best way to stay up to date with the latest Office 365 functionality? Mark Rackley: You know, I'd recommend that they go out to tech community site and look around there, and maybe follow #SharePoint or #Office365 in Twitter. Great ways to stay up. Dan Stoll: Oh, yeah, yeah. Do you remember your first SharePoint conference? Mark Rackley: I do. It was actually the SharePoint conference in Las Vegas in 2009. It was my first ever Microsoft conference. Dan Stoll: Oh, nice. Mine was in 2010, in Sydney, in Australia. Mark Rackley: Oh, great, yeah. Dan Stoll: Was the first Microsoft conference. Mark Rackley: You're from Australia? Dan Stoll: Yeah. Yeah, yeah. You wanna go for a walk? Mark Rackley: Yeah, let's go for a walk. Dan Stoll: Yeah, cool. So, how many speaking engagements do you average a year? Mark Rackley: I usually do about 12 a year. It averages out to about one a month. Dan Stoll: Okay, yeah, yeah. What's the coolest conference swag you've ever received? Mark Rackley: The hat that I'm wearing right now from my conference. Dan Stoll: Nice, nice, not a Hyperfish t-shirt? Mark Rackley: No. Well, I've got a couple of those I wear. Dan Stoll: You run the North American Collaboration Summit. Why did you start that? Mark Rackley: Well, so there's really no conferences in that part of the world. It's in southern Missouri, and I wanted to be able to create an event that anybody can afford to go to, and that I could also bring my friends from all over the world that are speakers down there, and kind of show them where I live and what it's like there. Dan Stoll: Yeah, nice. It used to be called the SharePointalooza. Where did that come from? Mark Rackley: So, it was kind of a play on the Lollapalooza thing they were doing because I used to have a couple of bands come play on a big outdoor stage at night, and so technology and music. Dan Stoll: Oh, yeah. Nice, nice. What sets your conference apart from the other Office 365 events? Mark Rackley: So, what really sets apart is that it's the same speakers that you get at Ignite, the same content as you get at the big, major conferences, but it's a much more smaller, intimate event. It's like 300 attendees instead of 30,000 you get at Ignite, and it costs only $150 because it's nonprofit. We don't make any money. 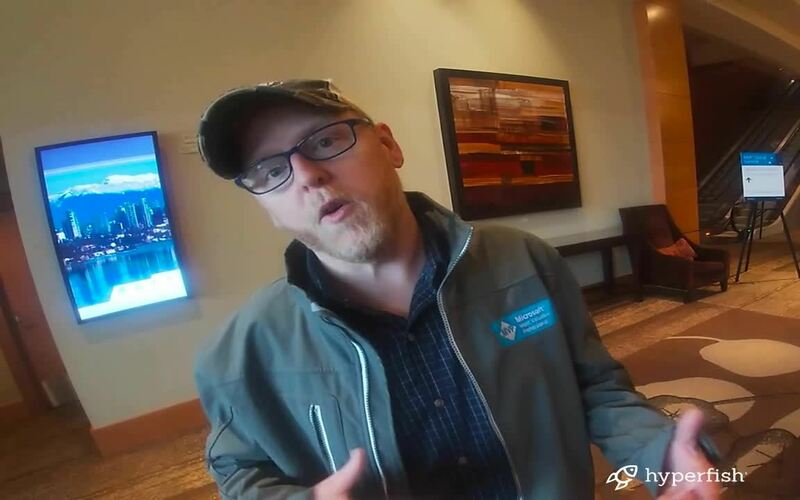 Dan Stoll: Yeah, yeah, and who's your longest connection in the SharePoint community? Mark Rackley: So, there's a guy names Mike Gilronan. I actually met him 12 years ago, before I was even in the community itself. Dan Stoll: Why do you love the SharePoint Office 365 community? Mark Rackley: You know, it's great because Office 365 and SharePoint are such a huge and big technology that nobody can do it all. There's no island. We all need each other, we all need the community. We can lean on each other, and learn from each other. It's like a big support group. It's like we all stand up. "Hey, I'm Mark, I work with SharePoint." Dan Stoll: Yeah, yeah, yeah. Who haven't you worked with in the SharePoint community that you'd really love to? Mark Rackley: You know, I've been lucky enough to work with a lot of friends in the community, but I think it would be fun to be on a project with Wictor Wilen. I think that would be a fun project to do. Dan Stoll: What's the best thing about working with Stephanie Donahue at the PAIT Group? Mark Rackley: You know, the best thing about working with Stephanie is our skills are very compatible. We come from different sides of the world, we have different perspectives, different personalities, and when we go to visit clients, someone's going to connect with one of us. It makes us a really, really powerful force to work together. Dan Stoll: Yeah, I'm super colorblind. What color are your glasses? Dan Stoll: Oh, they're blue? Dan Stoll: That's a great color. Dan Stoll: So, what customer projects are you working on right now? Mark Rackley: Right now, we're doing a lot of migration with Office 365, and we're doing also a lot of mentoring, just educating our clients about Office 365, and what you can do with it, and how you can take advantage of it. Dan Stoll: Okay. What was your first impression of SharePoint? Dan Stoll: Way back in the day, I guess. Mark Rackley: Yeah, yeah, that was back in 2007. I hated it. Dan Stoll: Did you come from a different background, like Domino, or something like that? Mark Rackley: I came from a .net and Java, so it wasn't totally foreign to me, it's just back then, nobody knew what it was, really. Dan Stoll: Right. What got you into the SharePoint consulting in the first place? Mark Rackley: Well, the money. Mark Rackley: I was working doing SharePoint development for a company, and then I was offered basically double my salary to go into consulting, so I thought let's give it a shot. Dan Stoll: Why not, right? Dan Stoll: Is there any retired Microsoft products you'd love to see resurrected? Mark Rackley: Yes. Bring back the Microsoft Band. Bring back the Microsoft Band. It was the only fitness band that's actually been exactly what I need, and they discontinued it. I'm so mad about that. Dan Stoll: And other than your own podcast, what are your recommended podcasts? Mark Rackley: I have two podcasts that I like. I like, for technical, look at MS Cloud Show with CJ and Andrew Connell, and then for non-tech stuff, I like to listen to Stuff You Should Know. Dan Stoll: Okay. Who has been your most entertaining guest on your podcast? Mark Rackley: We've only had a couple. Typically, we don't do them because there's four of us on the podcast, but Andrew Connell was also probably one of our best guests. Dan Stoll: Right. Who's your dream guest to join you on the podcast? Mark Rackley: I think it would be fun to interview Elon Musk, and just get his thoughts on things. Dan Stoll: Where would you point someone who wants to learn the new SharePoint framework? Mark Rackley: So, not to throw out Andrew Connell's name again, but Andrew Connell has a website called voitanos.io, and he's got a full workshop on learning the SharePoint framework. My 17 year old son actually took it, and he now knows how to do SharePoint framework stuff. Mark Rackley: Yeah. If you register on his site (https://www.voitanos.io/) with my last name, Rackley, you can save 10% too, so there's a plug. Dan Stoll: Plug, plug. What excites you about SharePoint after working with the earliest versions of the product? Mark Rackley: I like how the product group at Microsoft are really listening to people, and taking their feedback into account, and listening to us. Things like user voice, things like the MVP Summit, where we get to tell them what we think, and they're not being defensive about any of the recommendations we have. They're actually listening to us, which is fantastic. Dan Stoll: Yeah. What have you loved about moving from Skype for Business to Teams? Mark Rackley: The audio quality in Teams is just so far superior to Skype for Business. Dan Stoll: And I really love that new feature they've got now, where you can blur the background in video. Dan Stoll: I think that's transferred into Skype as well, or is it just in Teams? Mark Rackley: I think I've seen it in Skype as well. Dan Stoll: It's fantastic. I really love it. Mark Rackley: I've seen it in the Skype personal, I don't know if I've seen it in Skype for Business. Dan Stoll: Right. Right, right, right. Why do you see customers gravitating to Teams? Mark Rackley: Because it's a new, shiny object, right. I mean, there's a lot of noise behind teams, and so people are like really looking into it right now without fully understanding what it is, but there's a lot of excitement there. Dan Stoll: Yeah. Will you be hosting a party when Skype for Business is no longer supported? Mark Rackley: No, but I will when InfoPath finally dies. Dan Stoll: Any challenges you see the customers having with Teams? Mark Rackley: Yeah, they're scared. They're scared of sprawl, they're scared of lack of governance, and they just really need to understand what's there, and put a good plan in place to tackle that. Dan Stoll: Yeah. 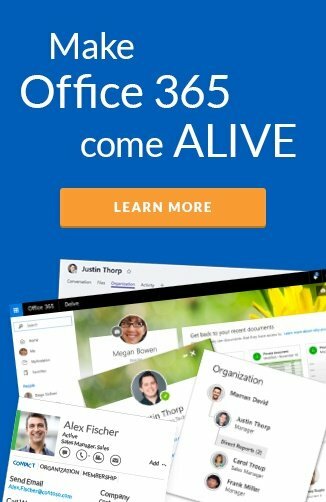 What's your recommended approach to Office 365 Groups? Mark Rackley: So, I don't give any recommendations without knowing the requirements. Dan Stoll: Right, yeah. Great advice. Dan Stoll: What gadget is essential to getting your work done? Mark Rackley: So, for me, doing a lot of development, a lot of presentations, and a lot of teaching people, I use a tool called ZoomIt, which allows you to easily zoom in on a screen, and move things around, and draw pictures. That's always helped me a lot. Dan Stoll: What business tool do you think is most underrated? Mark Rackley: I would say that SharePoint Search is actually one of the most underrated things because people just really aren't using it effectively, and I think they could really raise adoption if they used it. Dan Stoll: Any hints on what was discussed at this week's summit? Dan Stoll: Bummer. There are lots of bacon posts in your social media. Why do you love bacon so much? Mark Rackley: It's like the perfect food. Bacon goes with anything. You cannot tell me one food that bacon will not go good with. Dan Stoll: True, true, and any hidden talents you want to share with us? Mark Rackley: I can juggle. Mark Rackley: Yeah. I don't have anything to juggle. Dan Stoll: Well, thanks, man. Dan Stoll: Thanks for joining me. Mark Rackley: Thank you, it was great. Dan Stoll: Have a good day, have a good summit.